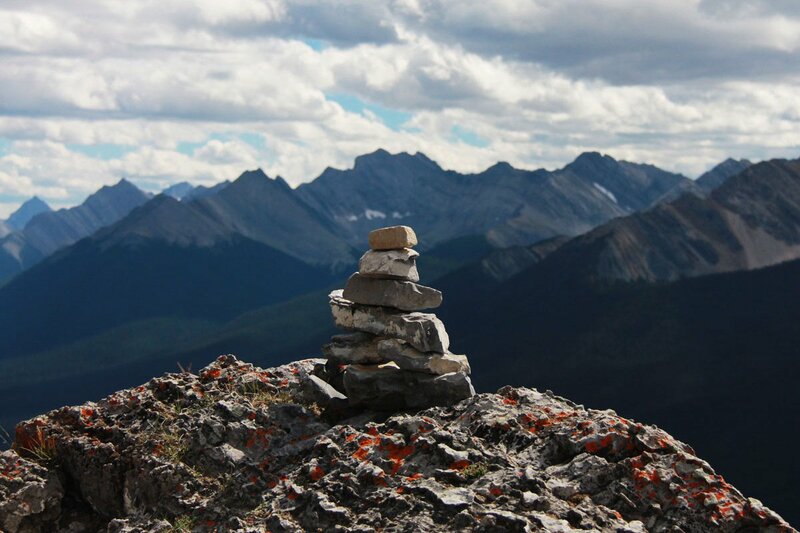 A baby rock pile stands proud before the Canadian Rockies. All photos by Becky Cheang. 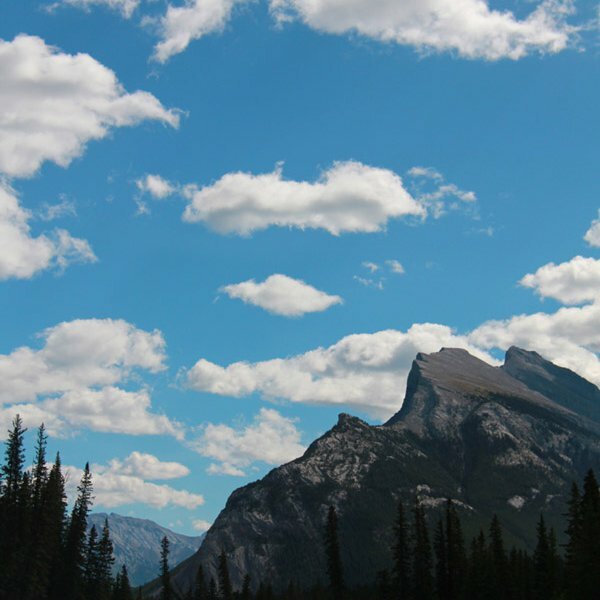 Popupla editorial assistant (and intrepid Girl Friday) Becky Cheang went to Canada for the first time and didn't find what she was expecting in Banff. 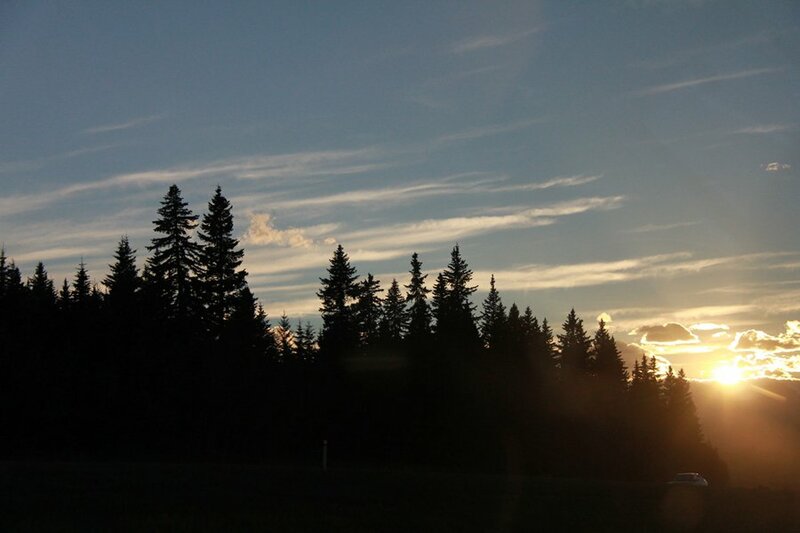 ALBERTA, Canada – I grew up in Singapore watching American television. Which is how I learned everything I know about Canada. Like that they say "eh" all the time. That maple syrup is the best thing ever. And that ice hockey is a religion. 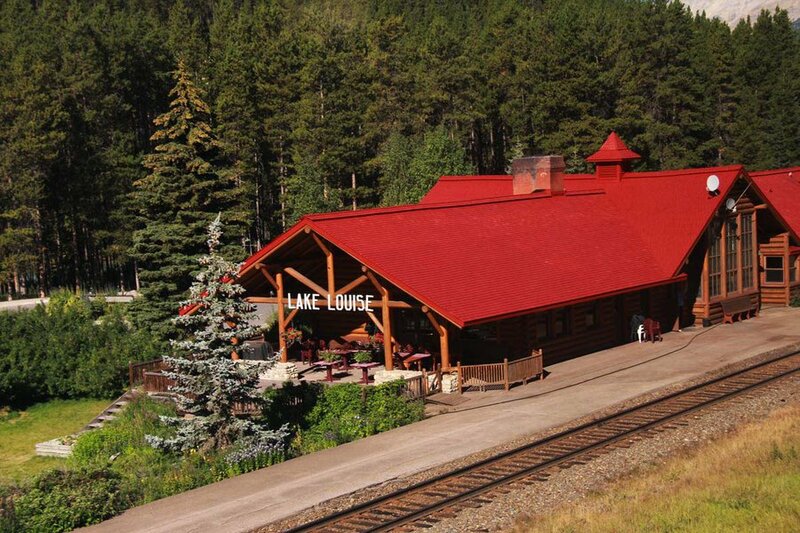 Then I finally went to Canada on assignment to take a train through the Rockies. I spent my first day in Banff, Alberta, and I didn't hear a single "eh" or even see a bottle of maple syrup. Okay, it's true that you shouldn't mention ice hockey unless you want to get sucked into a black hole of passionate debate. It was a perfect introduction to a new favorite country. Securing a window seat is my travel ritual for my first trip to a new place. First impression of Canadians: They are very neat. 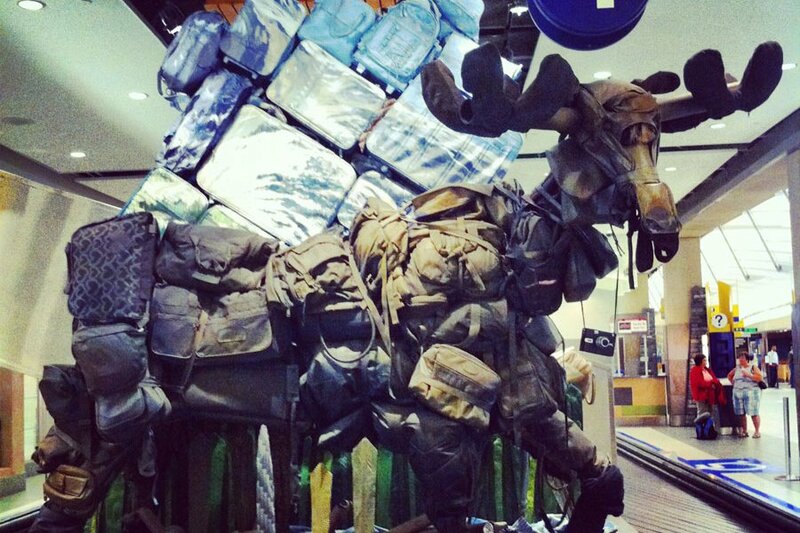 While I missed out on a , the baggage moose was a lovely welcome to Calgary. 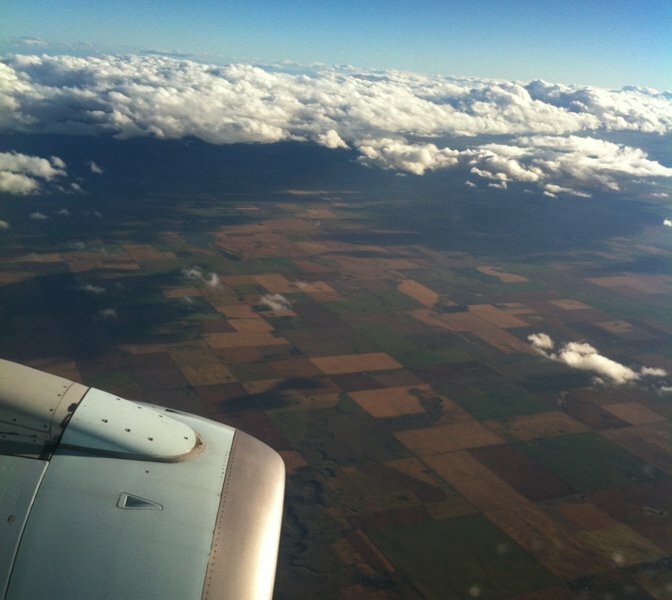 Leaving Calgary airport, heading through the mountains to Banff. My first morning in Canada: jaw-dropping. 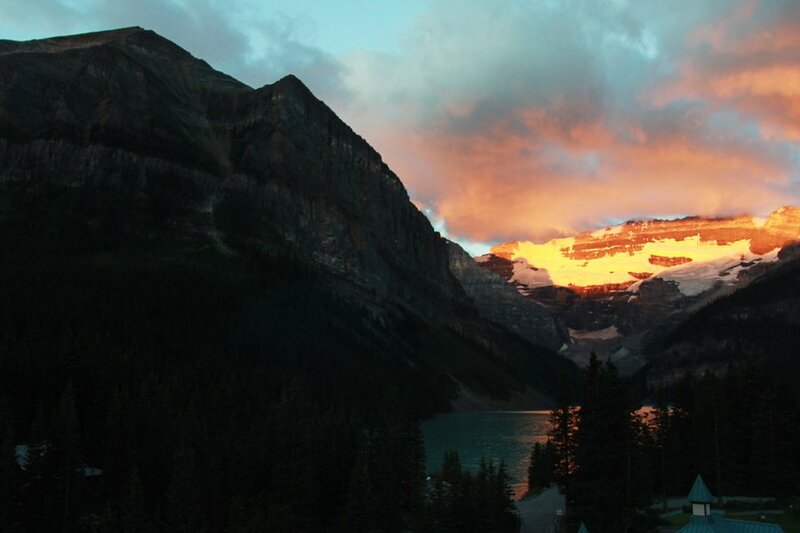 The rising sun behind me shines on the glaciers overlooking Lake Louise. It's green from the rock flour carried down from melting glaciers. 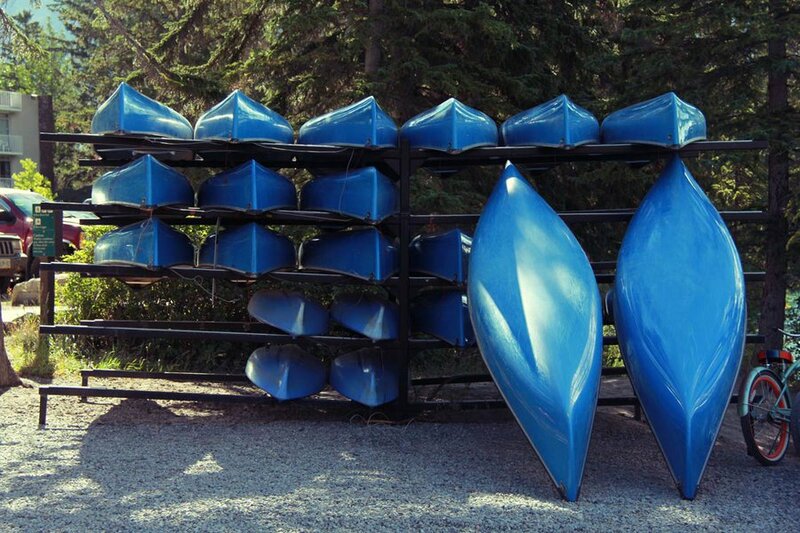 Canoes availble for rent along Bow River in Banff National Park. See what I mean about the particular neatness of Canadians? This was the first time I thought I might want to move to Canada. 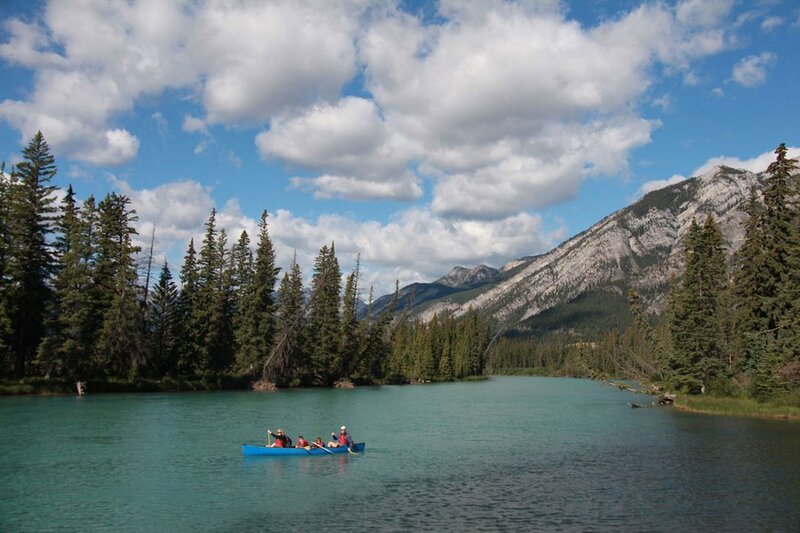 Who wouldn't want to spend the morning on a canoe ride down Bow River? The sharp ridges of the Rockies contrast nicely against the bright blue sky we enjoyed all day. 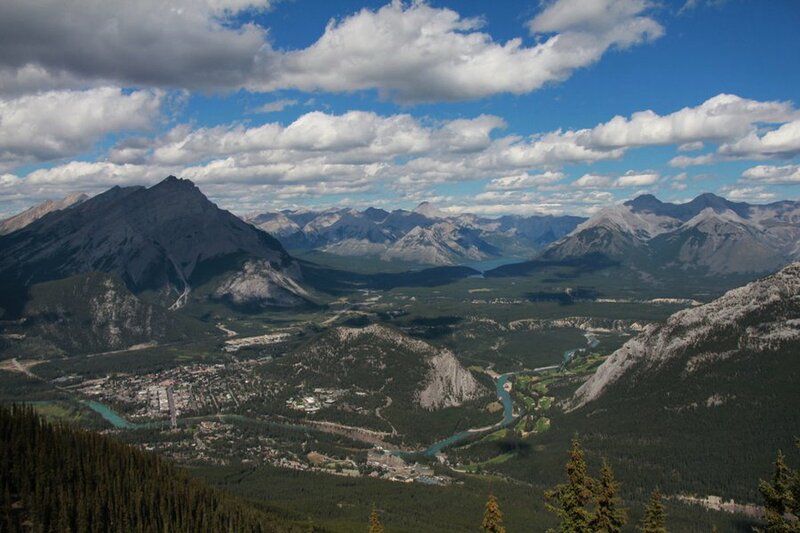 I took a gondola up Sulphur Mountain for panoramic views of the Rockies and Canada's oldest national park. 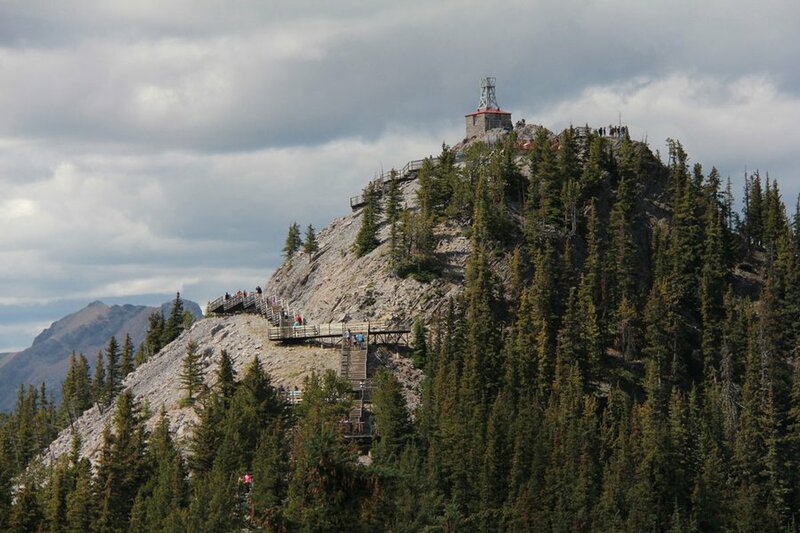 On Sulphur Mountain, I crossed the mountain ridge to historic Sanson's Peak Meteorological Station, which was named for Norman Sanson, who always wore English tweed, gave himself an education in natural history, and climbed Sulphur Mountains more than 1,000 times. He's accompanied royalty on mountain climbs, curated the park's museum, and worked as a zookeeper at the local zoo. In my mind, Norman is the quintessential Canadian. My last look at Banff's gorgeous glacial lakes. And I'm off. 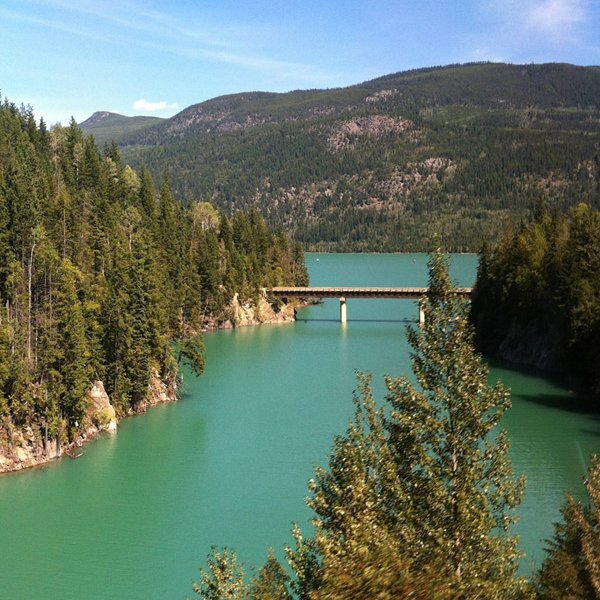 After a day in Banff, I embark on a four-day journey to Vancouver on the Rocky Mountaineer train. Thanks for a lovely introduction to Canada, Banff. I'll be back.